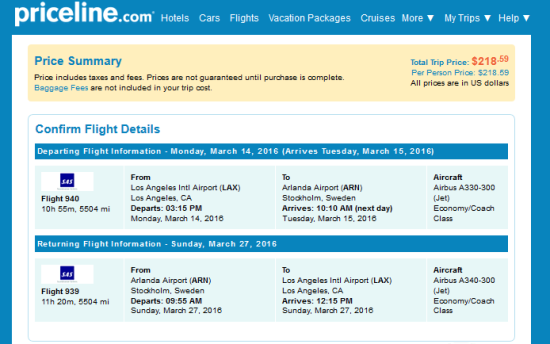 The Flight Deal | SAS Scandinavian Airlines – $97 (ONEWAY) or $219 (ROUNDTRIP): Los Angeles – Stockholm, Sweden. Including all Taxes. SAS Scandinavian Airlines – $97 (ONEWAY) or $219 (ROUNDTRIP): Los Angeles – Stockholm, Sweden. Including all Taxes. 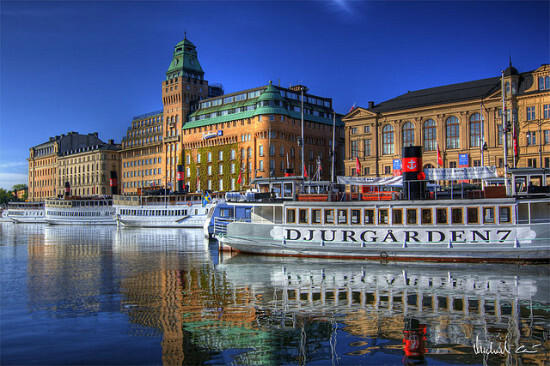 A very good ONE WAY or ROUNDTRIP fare to Stockholm. Fares from Europe to the US are actually cheap, so this is a great way to take advantage of the cheaper EU – US fares. Use the Priceline risk free 24 hour cancellation policy. Buy then plan! Update 2/22/2016 @ 12:10PM Eastern. Roundtrip is available for $219. Update 2/22/2016 @ 3:18PM Eastern. Roundtrip looks like it’s gone; one way still available though. Support us by using our Priceline link to book with dates found on ITA Software Matrix Airfare Search. Make sure you enter “Scandinavian Airlines” on the Airline textbox under the Advanced Options section of the form. 3 Responses to "SAS Scandinavian Airlines – $97 (ONEWAY) or $219 (ROUNDTRIP): Los Angeles – Stockholm, Sweden. Including all Taxes." Could you share the links of the cheap flights from Europe to USA?